Your relaxing vacation begins here. 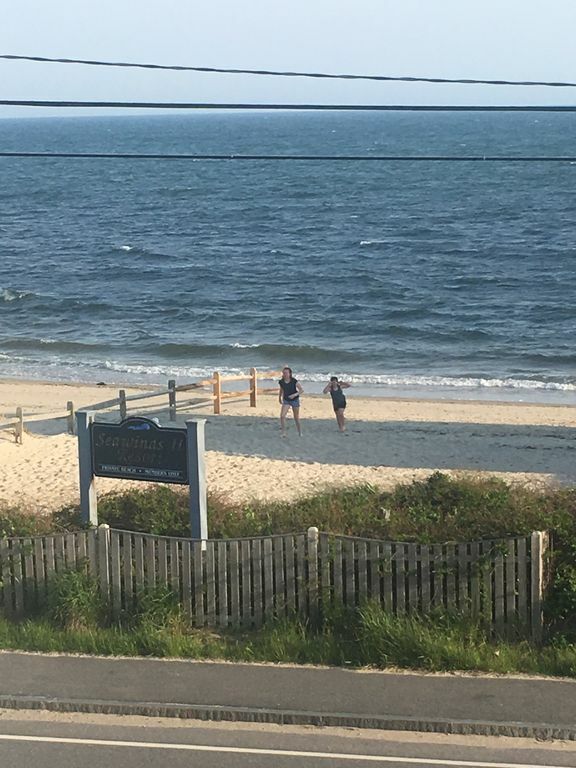 Enjoy our Ocean view studio condo conveniently located in the heart of Cape Cod, with a 120-foot stretch of private sandy beach just steps away and walking distance to many restaurants and bars. We have thought of everything to make sure your vacation will be as relaxing as possible including: an outdoor shower, grills and picnic tables,. The condo has all the comforts of home including a full kitchen, full bath, private ocean-view balcony, beach chairs, small cooler, Amazon Firestick, and free WI-Fi. Perfect place for a family vacation, or a couple looking for a romantic getaway. Golf, tennis, bike trails, and public beaches are nearby. On the Map we are located right at the bend of Old Wharf Road. Detailed description of property: Studio Condo with a Queen bed, a full size sleeper sofa. Full kitchen with plates, glassware, silverware, pans and pots (including Lobster pot) and a coffee maker. Towels and linens are the responsibility of the renter. Directly across the street from Nantucket Sound. Private Beach. Enjoy unobstructed views from private deck with plenty of patio furniture and a patio umbrella. Place is very clean the view you can’t beat! Within walking distances to numerous restaurants and bar.